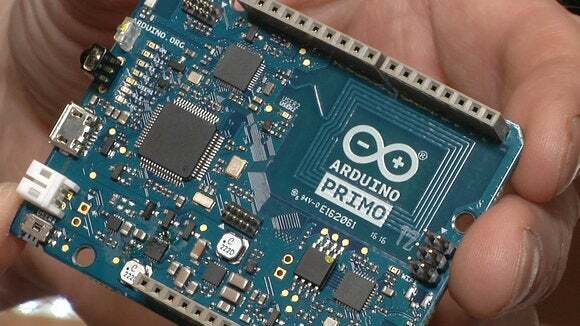 Arduino, the Italian company that has powered the "maker" movement with a series of small computing boards that can be programmed and configured for different tasks, is introducing a board targeted at the so-called Internet of Things. IoT encompasses the world of Internet-connected machinery and gadgets, many of which include sensors that remotely and autonomously send data. The Primo features WiFi, Bluetooth low energy, NFC (near-field communications), and infrared built into the board. Previously, users had to connect add-on boards to get wireless networking. The company first showed the board at the weekend's Maker Faire Bay Area. 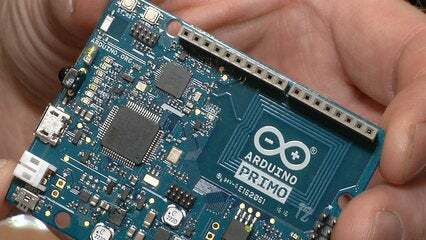 Increased interest among hobbyists in building gadgets and gizmos that could automatically communicate via the Internet led to its development, Arduino CEO Federico Musto said. The Primo and a second product, the Primo Core, are built around a Bluetooth chip from Nordic Semiconductor and are the first product of a new collaboration between the two companies. 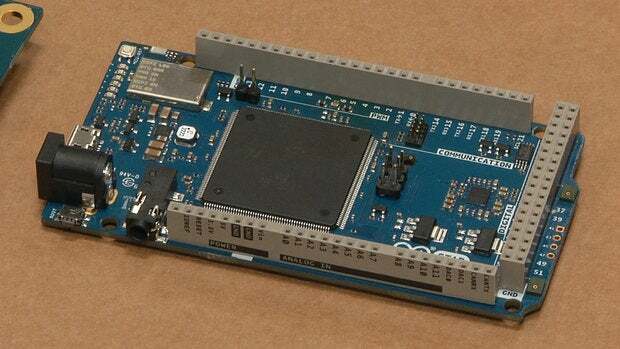 The Primo Core is a smaller version of the Primo without the WiFi and support for expansion boards but otherwise contains the core functions. The Arduino Primo Core board (center) sites on top of an Arduino Alicepad while on show at Maker Faire Bay Area in San Mateo, California, on May 20, 2016. The circular Primo Core contains a button-cell battery on its rear and can be directly integrated into projects or connect to a larger board called an Alicepad. The Alicepad breaks out some of the connectors and adds a USB connector and NFC antenna. The Primo and Primo Core should be available in late June or early July. Prices are yet to be announced. 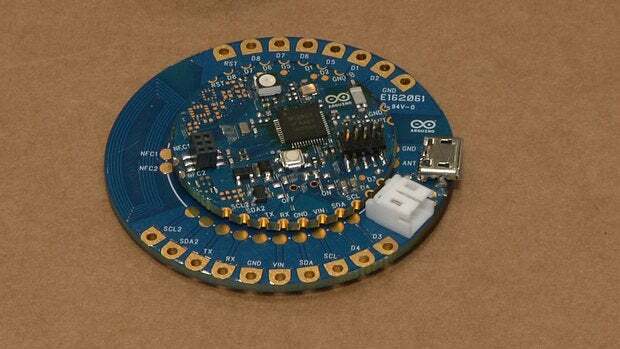 Arduino also unveiled the Otto, a larger board with a built-in microphone and numerous connectors that should make it easy to integrate into projects. "For the first time, we built the microphone on the PCB (printed circuit board) and that allows us to talk. To say '[switch on] the lights,' 'switch off the lights" or "where am I," said Musto. The device will work with Amazon's Echo API, he said, allowing makers to add voice controls and commands to their projects. The Arduino Otto board on show at Maker Faire Bay Area in San Mateo, California, on May 20, 2016.